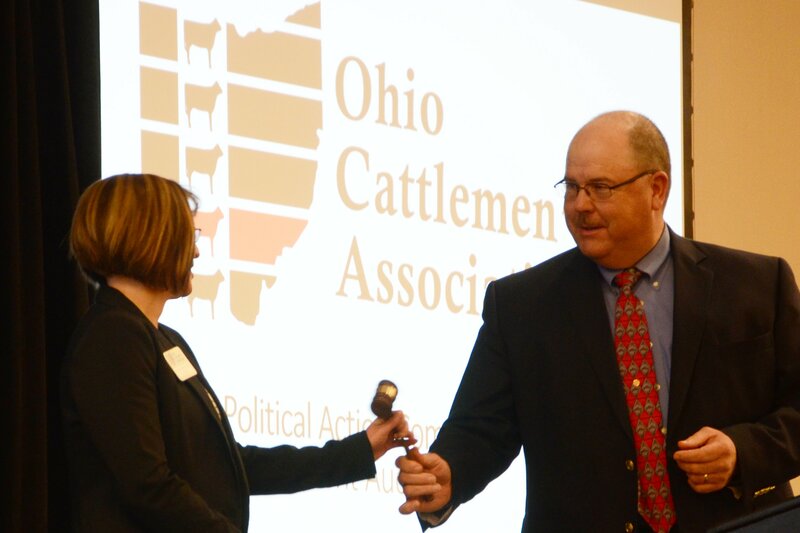 Several members of the Ohio Cattlemen’s Association (OCA) will sell nearly 115 consignments in the OCA Replacement Female Sale on Friday, Nov. 23, 2018, at 6 p.m. at the Muskingum Livestock Auction Company facility in Zanesville, Ohio. Consignments include approximately 40 mature cows less than five years of age and cow/calf pairs and approximately 75 bred heifers. Breeds represented will include Angus, Charolais, Gelbvieh, Red Angus, Simmental, Simmental influenced and cross and commercial females. Service sire breeds represented include Angus, Charolais, Gelbvieh, Hereford, Maine-Anjou, Red Angus, Shorthorn, Simmental, and Simmental influenced. All females selling will have a safe pregnancy status verified within sixty days of the sale and all lots will be eligible for interstate shipment. To view the consignments, visit the OCA YouTube page in mid-November to view the 2018 Replacement Female Sale playlist. Prop. 12 also requires egg-laying hens in the state to be cage free. National Pork Producers Council, which strongly opposed it, maintains that the initiative violates the U.S. Constitution’s Commerce Clause and that it will be costly for farmers and consumers. 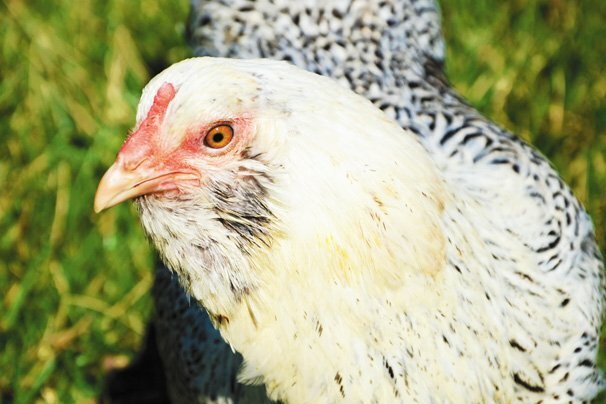 The organization is supporting federal legislation that would prohibit states from regulating agricultural production practices outside their borders and is backing lawsuits — now pending before the U.S. Supreme Court — filed by attorneys general from nearly two dozen states against California’s egg sales ban and a 2016 Massachusetts ballot measure that banned the sale of eggs, pork and veal from animals raised in housing prohibited by the same measure. Despite many advancements in the U.S. pork industry’s focus on disease risk mitigation, 28 states (along with Puerto Rico and the U.S. Virgin Islands) still allow some type of garbage feeding to swine. While deemed acceptable by the USDA’s Animal Plant Health and Inspection Service (APHIS) when strict protocols are followed, the potential risk of foreign animal disease (FAD) transmission remains with this practice. According to Dave Pyburn, senior vice president of science and technology for the Pork Checkoff, the practice of garbage feeding to pigs in the United States is somewhat of a holdover from the past. The Swine Health Protection Act (SHPA) regulates food waste containing any meat products fed to swine. Recently I have gotten some questions about rental of livestock buildings, specifically dairy facilities. 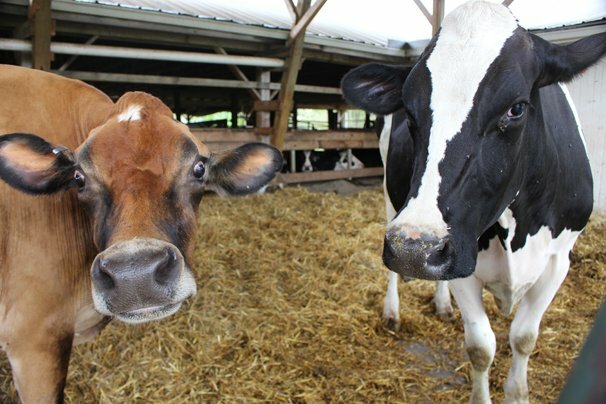 Typically, callers want to know a charge per square foot or a rental rate based on a per head basis or, for a dairy facility, based on number of free stalls. The reality is that there is no one right or correct answer. 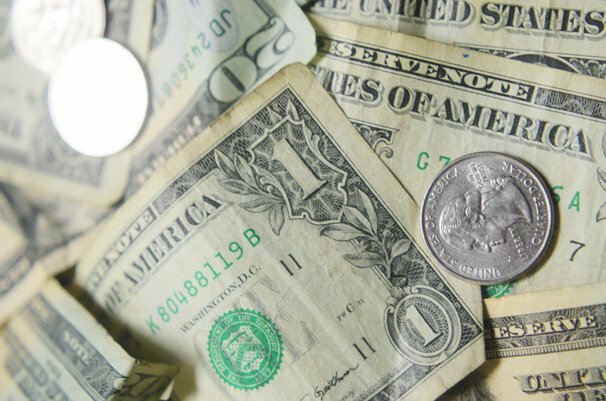 Several methods or approaches generate a dollar figure for rental. However, view that number as a starting point in a rental negotiation. There are additional factors that affect the final rental rate. Those factors include the age and condition of the building, location of the building, the functionality or obsolescence of the building, the demand for rental of this type of building and the character and personality of the parties involved in the rental agreement. The simplest and most direct way of calculating a building rental rate is to use a commercial rate, a known market. 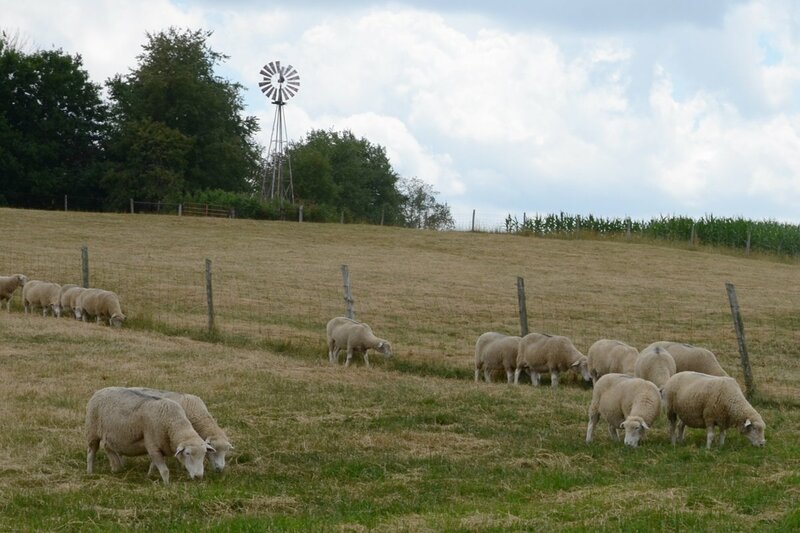 The 2018 Buckeye Shepherd’s Symposium (BSS) will once again concentrate on a diversity of topics related to the success of the sheep operation both now and in the future. 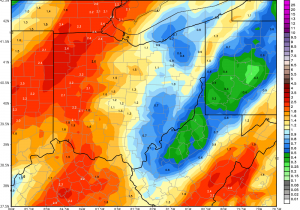 This event is Nov. 30 through Dec. 1 at the Ohio Agricultural Research and Development Center (OARDC), Shisler Conference Center, 1680 Madison Ave., Wooster, OH 44691. This year’s two-day program topics include: improving profitability through grazing and forage production principles, sheep nutrition including topics on vitamins and minerals, artificial rearing of lambs, early weaning and technology tips, expanding on OSU/OARDC sheep research, nutrient and manure management, and wool marketing. 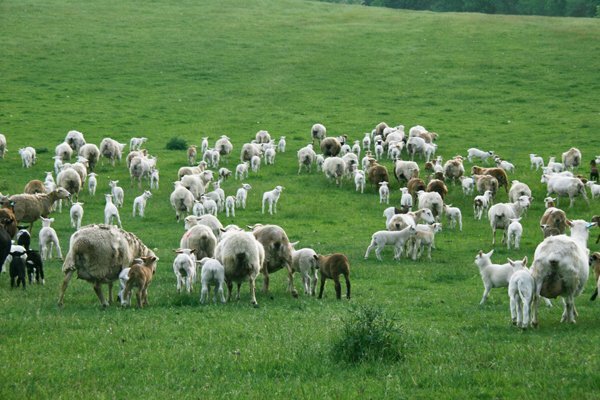 The popular Friday program Shepherd’s College will concentrate on several facets of production to help sheep farmers improve their profitability, including Management intensive grazing 101, using graziers tools, and producer study groups. The featured speaker is Woody Lane, a nationally-known livestock nutritionist from Roseburg, Oregon. Lane owns and operates an independent consulting firm “Lane Livestock Services,” teaches courses in forages and livestock nutrition to ranchers in the area, facilitates three forage discussion groups for farmers, and writes the popular monthly column “From the Feed Trough…” for The Shepherd magazine. September beef exports totaled 110,160 metric tons (mt), up 6% from a year ago, valued at $687.1 million — up 11%. For January through September, beef exports were just over 1 million mt, up 9% from a year ago, while value surged 18% to $6.2 billion. For beef muscle cuts only, the year-over-year increases were even more impressive, jumping 13% in volume (777,740 mt) and 20% in value ($5.54 billion). Exports accounted for 13.7% of total beef production in September and 11.4% for muscle cuts only, up from 12.5% and 10.4%, respectively, a year ago. 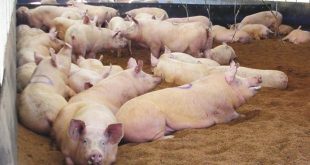 The U.S. Court of Appeals for the Fourth District in late October struck down a gag order related to North Carolina hog farm nuisance lawsuits brought against Murphy-Brown, the hog production subsidiary of Smithfield Foods. 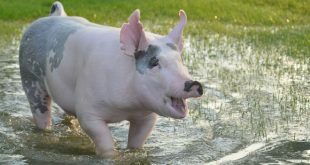 The court said the gag order, which prohibited lawyers or anyone with knowledge of conditions of North Carolina hog operations from sharing information, violated the First Amendment. Judge Earl Britt, of the U.S. District Court for the Eastern District of North Carolina, in late June imposed the gag order on the parties, lawyers and potential witnesses in the lawsuits. Britt said a “significant increase in trial publicity” and the “volume and scope of prejudicial publicity” about the first two cases — one decided in early May and the other two days after the gag order was implemented — could taint future jurors. (More than a dozen nuisance suits were filed.) 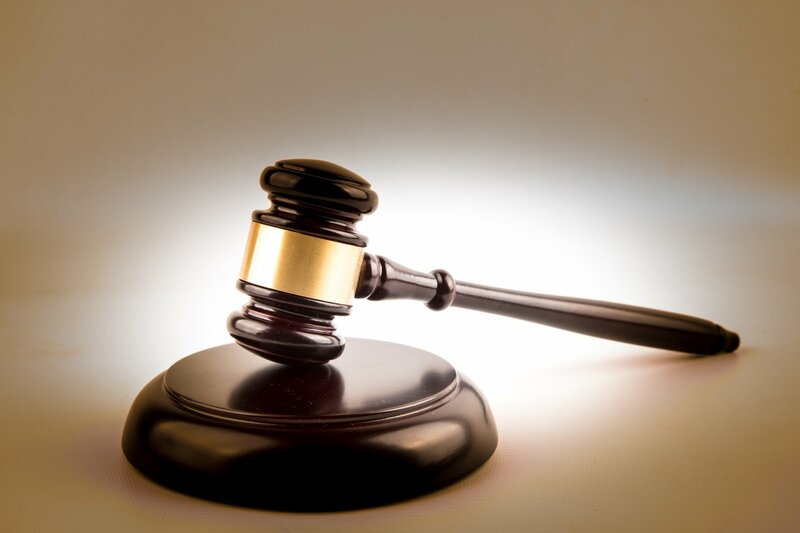 The National Pork Producers Council and the North Carolina Pork Council (NCPC) in August filed a friend-of-the-court brief in support of lifting the gag order. 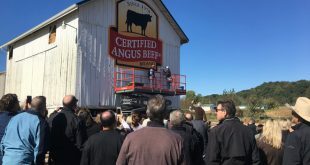 The Ohio-based Certified Angus Beef brand known around the world has spent the past year celebrating 40 years of existence by painting their famous logo on 40 barns across the country. Stika made the comments after he put the finishing touches on the final mural of the 40-barn campaign in which artist Troy Freeman crisscrossed the country to paint a diverse range of buildings from brand new metal structures to old wooden barns. Ohio’s dairy industry provides 114,053 jobs for Ohioans, based on a 2018 report by the International Dairy Foods Association (IDFA). Nationally, said IDFA research, the dairy industry creates nearly 3 million U.S. jobs and has an overall economic impact of more than $628 billion. The U.S. Environmental Protection Agency proposed a rule exempting livestock farmers from reporting to state and local authorities the routine emissions from their farms. 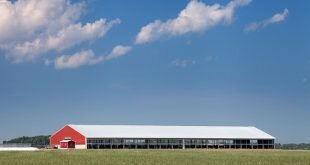 The Fair Agricultural Reporting Method, or FARM, Act fixed a problem created last April when a U.S. Court of Appeals rejected a 2008 EPA rule that exempted farmers from reporting routine farm emissions under the Comprehensive Environmental Response, Compensation and Liability Act (CERCLA). 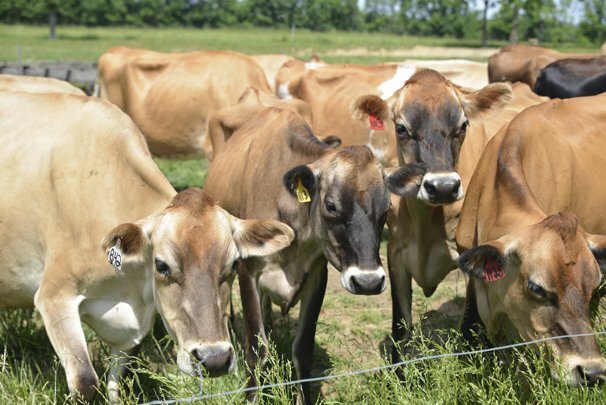 The U.S. Department of Agriculture (USDA) needs to better reflect the dairy-farm incomes lost to tariff retaliation when it calculates its next round of trade mitigation payments, the said today. 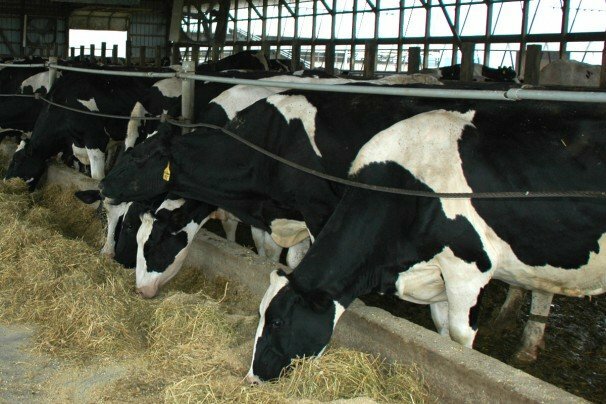 In a letter sent Tuesday to Agriculture Secretary Sonny Perdue, National Milk Producers Federation Chairman and dairy farmer Randy Mooney cited four studies illustrating that milk producers have experienced more than $1 billion in lost income since May, when the retaliatory tariffs were first placed on dairy goods in response to U.S. levies on foreign products. In contrast, the first round of USDA trade mitigation payments, announced in August, allocated only $127 million to dairy farmers. 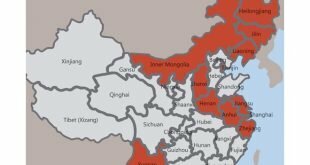 Despite the Chinese government’s control efforts, the spread of African swine fever (ASF) continues in China. The official reports from the World Health Organization (OIE) now say there have been more than 40 cases confirmed in 11 provinces, including one in the far south of the country. Despite this geographic advance, some pig movement has been allowed to help with China’s domestic demand for pork. And, according to a recent Global Disease Monitoring Report by the Swine Health Information Center, Brazil has reported a case of classical swine fever (CSF) in their country. The Brazilian case, which was reported earlier this month, was in the country’s far north, which is not in a major pig-producing area. This part of Brazil was already not considered to be free of CSF. 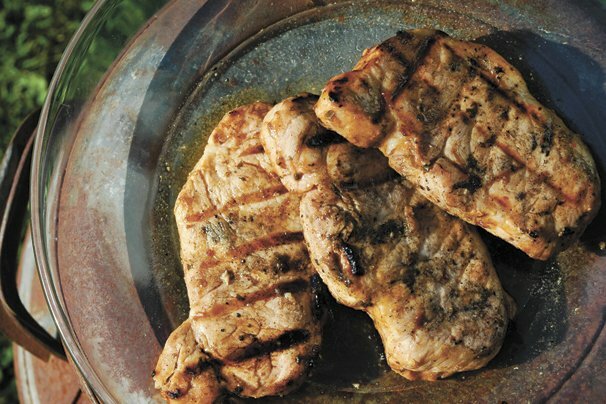 U.S. pork is not affected by the ASF outbreaks in other countries and is safe to eat. ASF does not affect humans and therefore is not a public health threat. The U.S. Trade Representative announced progress in talks with the Philippines under the bilateral Trade and Investment Framework Agreement (TIFA). U.S. dairy producers and processors appreciate the Administration’s work to preserve and deepen market access ties with a country that purchased $243 million in U.S. dairy products last year. In a joint statement released about the recent achievements in resolving trade issues under the TIFA, both governments agreed that they should work together to benefit agriculture. This is viewed as a promising development given Southeast Asia’s growing market for dairy products. To further that goal, the Philippines confirmed that “it will not provide automatic GI protection, including to terms exchanged as part of a trade agreement.” Tom Vilsack, president and CEO of the U.S. The U.S. Department of Agriculture to temporarily stopped shipments to the United States of pork from Poland. USDA’s action was taken out of an abundance of caution to ensure that the United States remains free of African Swine Fever (ASF), a highly contagious, trade-limiting pig disease with no cure. USDA has been closely monitoring ASF’s spread in Eastern Europe — parts of Poland have the disease — and in Asia. The disease underscores the need for the United States to be better prepared to address foreign animal diseases, including by establishing a more robust vaccine bank to deal with an outbreak of Foot-and-Mouth Disease (FMD), another trade-limiting disease endemic in many parts of the world. 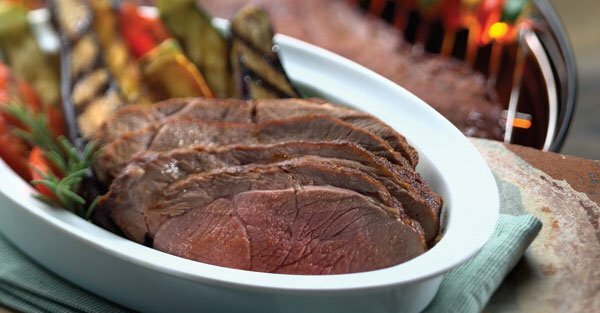 The administration recently updated agreements with Canada and Mexico and with South Korea that maintained the U.S. pork industry’s zero-tariff access to those important markets, three of the top five destinations for U.S. pork exports. Since Trump took office in January 2017, NPPC has been urging the White House to begin trade talks with countries in the fast-growing Asia-Pacific region, beginning with Japan, the U.S.
For a few years now, Dave Lepley has been contemplating expanding his Huron County cattle herd. He knew he wanted to grow the number of head on his farm, but if he was going to take a big step in that direction, he wanted to do it the right way. 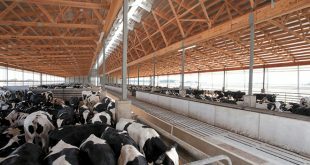 The result is a 101-foot by 321-foot by16-foot indoor feedlot facility in Bellevue permitted to hold 1,000 head of cattle. A Beef Industry Update meeting hosted by the Ohio Cattlemen’s Association (OCA) will take place in Williams County. Beef producers from Williams and surrounding counties are encouraged to attend. The meeting will be held Tuesday, Oct. 30 at 6:30 p.m. at the Williams County Fairgrounds — 619 E. Main Street, Montpelier, OH 43543. At the meeting, OCA staff will discuss OCA events and policy updates. A complimentary dinner will be sponsored by OCA Allied Industry Council (AIC) members Farm Credit Mid-America and Kalmbach Feeds, Inc. and door prizes will be provided. Attendees will have the opportunity to hear from Farm Credit Mid-America and Kalmbach Feeds, Inc. representatives on keeping their cattle in production and profitable. The 2018 Beef Industry Update producer education partner is the National Cattlemen’s Beef Association and National Corn Growers Association. Contact the OCA office at 614-873-6736 or email cattle@ohiocattle.org for more information about the beef industry update meetings. Organizations representing livestock, bee, and fish haulers across the country recently submitted a petition to the Department of Transportation (DOT) requesting additional flexibility on Hours of Service (HOS) requirements. The petition asks for a five-year exemption from certain HOS requirements for livestock haulers and encourages DOT to work with the livestock industry to implement additional fatigue-management practices. 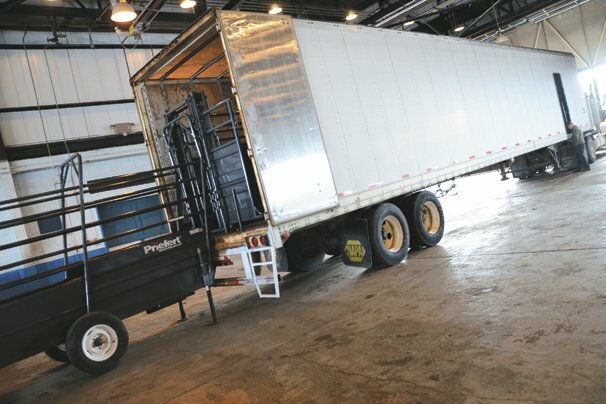 “We are concerned that the 11- and 14-hour rules were not drafted with livestock haulers in mind and thus do not accommodate the unique character of their loads and nature of their trips,” the organizations wrote. Fall is here and it means that our perennial forages are starting to think about taking a siesta. 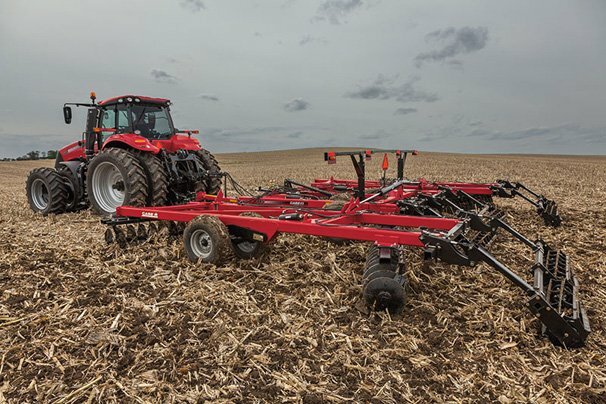 You will want to do three things this time of year: grow as much forage as you can prior to plants going dormant, be as efficient as you can with what you have to graze, and take inventory on how much winter feed you have on hand. There are still plenty of good growing days left this fall and they need to be taken advantage of. One of the first things to do to make sure you obtain as much growth as possible, especially with perennial forages, is to stop grazing forages that can and will continue to grow for a while, especially forages that will stockpile like tall fescue. Tall fescue stockpiles better than almost any other forage in the midwest. I would rather that not be old Kentucky 31 endophyte-infected fescue, but even KY 31 makes some really good feed in the winter time, especially after going through a few hard freezes. This month’s column is more serious than most. If you’re looking for entertainment and my usual wild stories, you may want to skip this one. But this column is a must-read, if you raise livestock and/or care about the American food supply (and if you’re like me, you like to eat). Livestock disease outbreaks are occurring every day somewhere in the world. These diseases, if not contained, could threaten our food supply and lifestyle in a way that most Americans are too naïve to fathom. It will pay you to be aware of this situation, so you can be prepared. For starters, here are a few facts that escape most Americans. Many diseases are zoonotic. This means they can spread from animals to humans, or vice versa. An example is avian influenza, which can pass from birds to humans. Remember the avian flu outbreak a couple years ago?